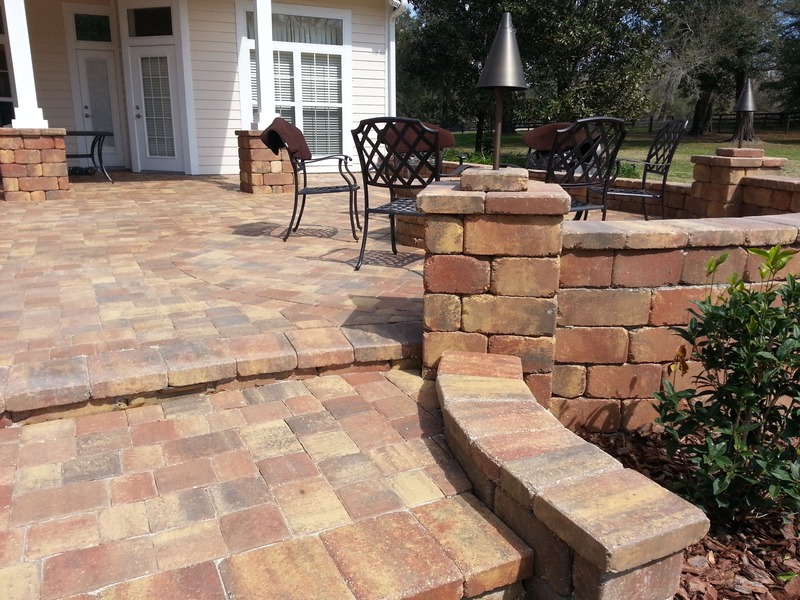 Upgrade your home with the use of beautiful pavers. Pavers provide numerous benefits when added to aspects of your home such as driveways, walkways, pool decks, and patios. 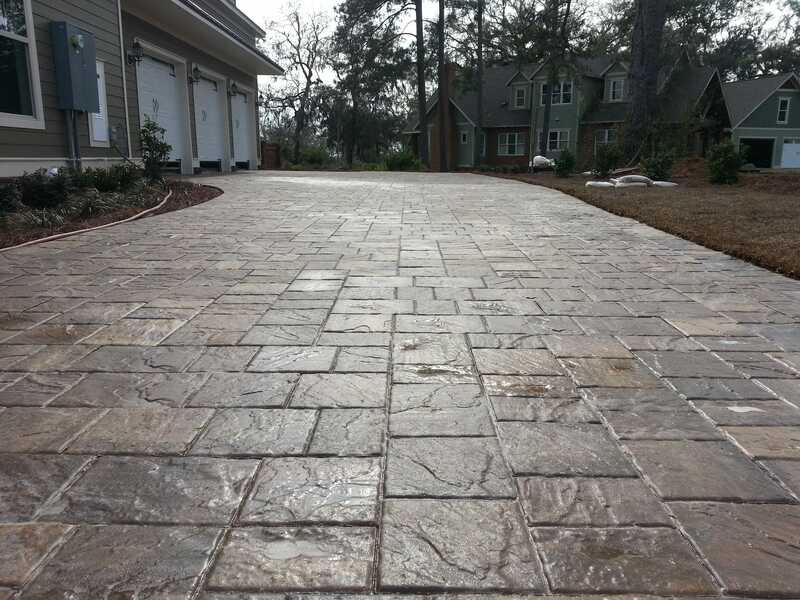 Pavers provide excellent drainage and create a non-slip surface when wet, keeping you safer. Pavers are available in a variety of shapes, colors, and textures to match any home’s aesthetic. This allows for numerous combinations and endless customization when adding or upgrading your home’s features. The sand-sized grains from which bluestone is constituted were deposited in the Catskill Delta during the Middle to Upper Devonian Period of the Paleozoic Era, approximately 370 to 345 million years ago. The term “bluestone” is derived from a deep-blue-colored sandstone. 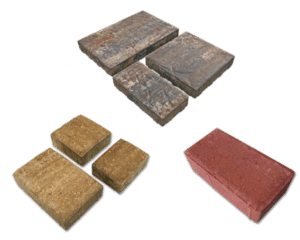 Clay brick pavers are an elegant hardscape solution, offering both the tradition and elegance of Colonial Americana and the style and strength of solid masonry clay. 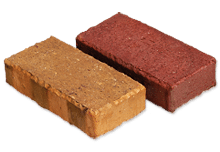 Clay brick pavers are made from high quality ceramic shale and are extruded into forms and fired at temperatures up to 2,000°F. The result is a tough, heat and water-resistant paving product featuring traditional appeal. 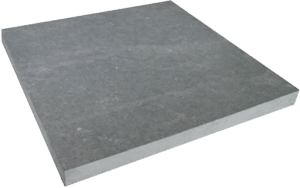 Interlocking concrete pavers are extremely durable. They are manufactured using specific sands, crushed stone, cement, water and colorfast pigments. A soldier course of pavers are installed along edges with a poured concrete footer which keeps the desired uniform joint spaces between pavers and prevents the edge pavers from moving. Sand fills the joint spaces, allowing the pavement to behave as a strong but flexible mat. Stone adds classic beauty to your home and garden. Stone tiles are one of the most used materials in modern architecture. They do not fade or weather. Travertine tile is quarried from stone that is best described as a cross between marble and limestone, and has a warm, soft appearance crafted to suit the perfect setting. They come in a variety of colors. 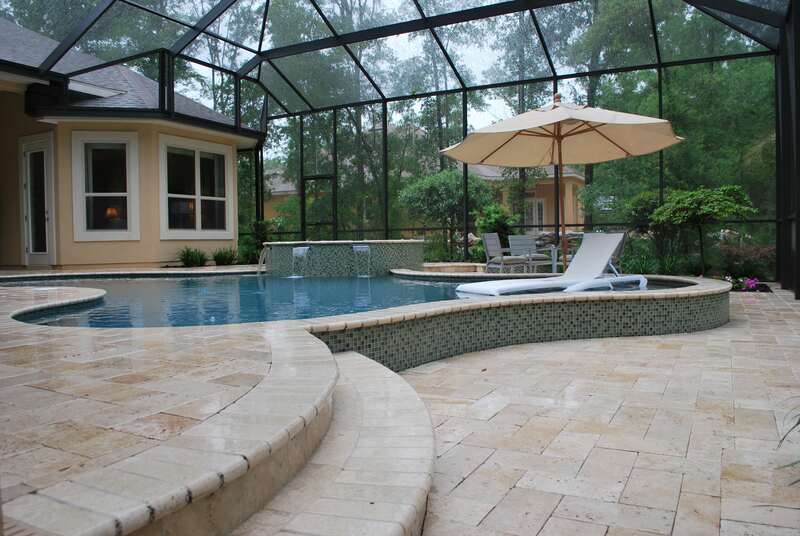 Travertine pavers are widely used for patios, pool decks, lanais, and even driveways, providing comfort and sophistication to its surroundings. Make your home stand out with pavers. You can create a modern, upscale feel for your home or even create a rugged, rustic look simply with the use of different pavers. There is something for every homeowner!